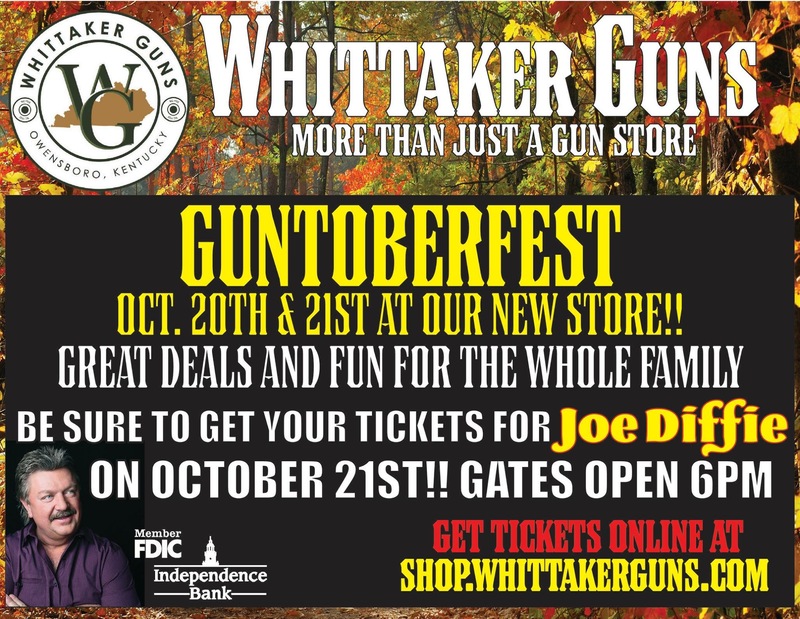 Join us at our new store for Whittaker?s Guntoberfest on October 20th and 21st. Great deals and great fun for the whole family! Don?t miss the Joe Diffie concert on the 21st! In the meantime, check out the weekly savings on our website! Blaine and marlinluvr like this. Wish I lived in Kentucky...sounds like a great time!